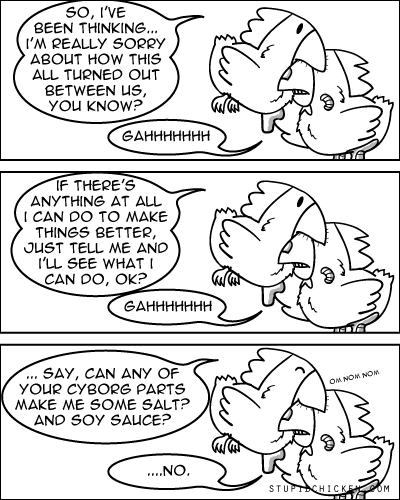 stupidchicken comic » Archive » A Tinge Of Regret. Also Of Seasoning. A Tinge Of Regret. Also Of Seasoning. Next: What Next, A Talking Chicken?